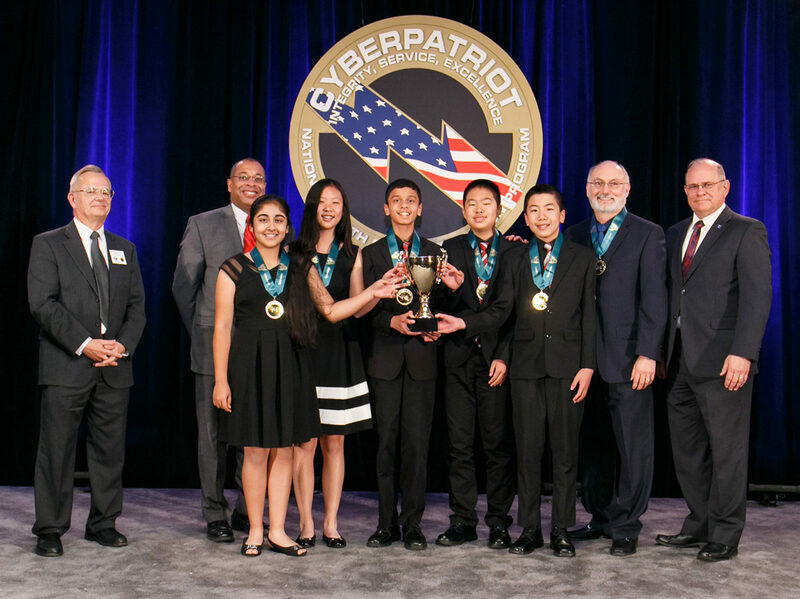 After placing 1st in the CyberPatriot nationals, CyberAegis middle school team Cancer minor was featured in multiple news segments including from abc10 and CBS News 8. 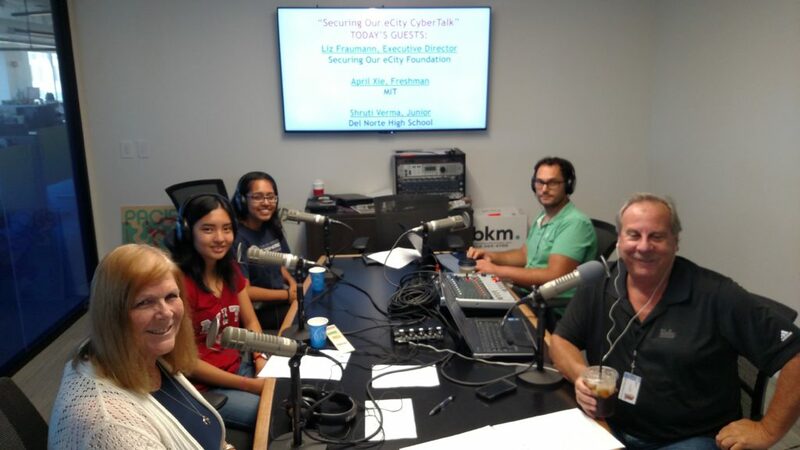 Shruti Verma and April Xie airs on the eCity CyberTalk Radio to discuss about females to in male dominated fields such as technology, as well as, how the 2018 CyberPatriot season has been worthwhile for them. 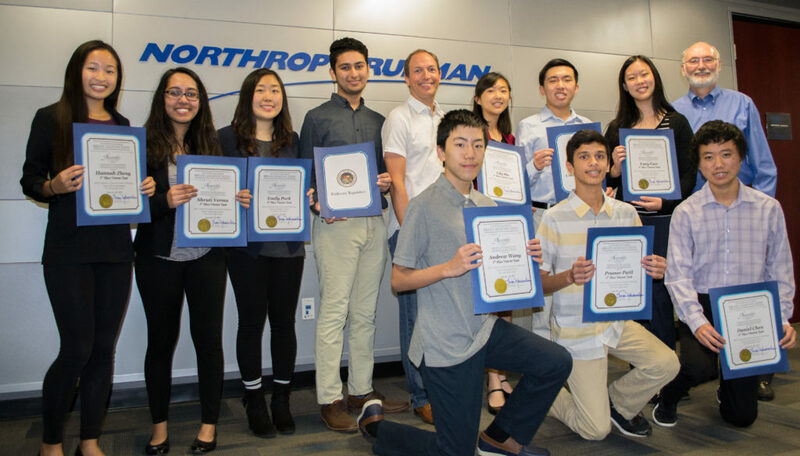 California Assemblyman Brian Maienschein added to the accolades recently, presenting 14 young women and young men on Johnson’s teams with certificates of recognition from the California Legislature for competing at the California Cyber Innovation Challenge. Maienschein emphasized the value of the CyberPatriot program, volunteers like Johnson, and driven students, especially young women, in building the cyber workforce. 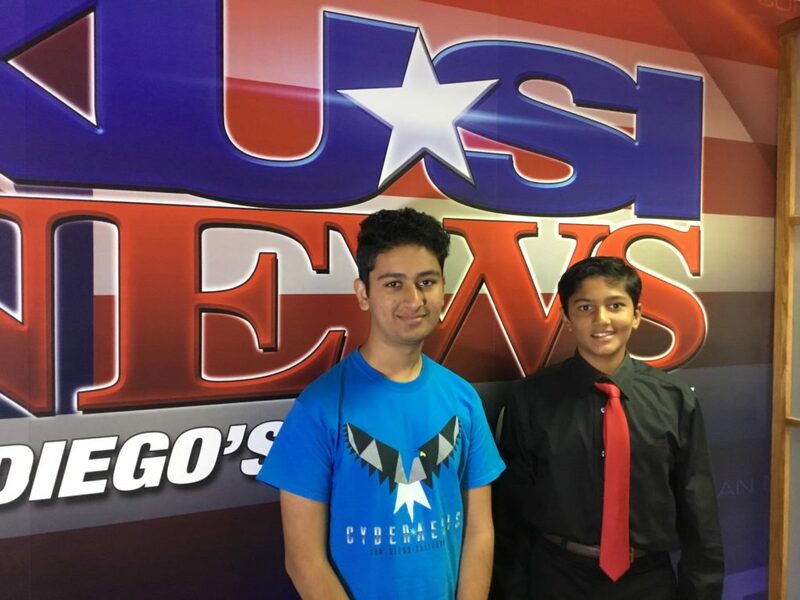 Akul Arora and Devam Shrivastava stand before the KUSI NEWS before going on air. 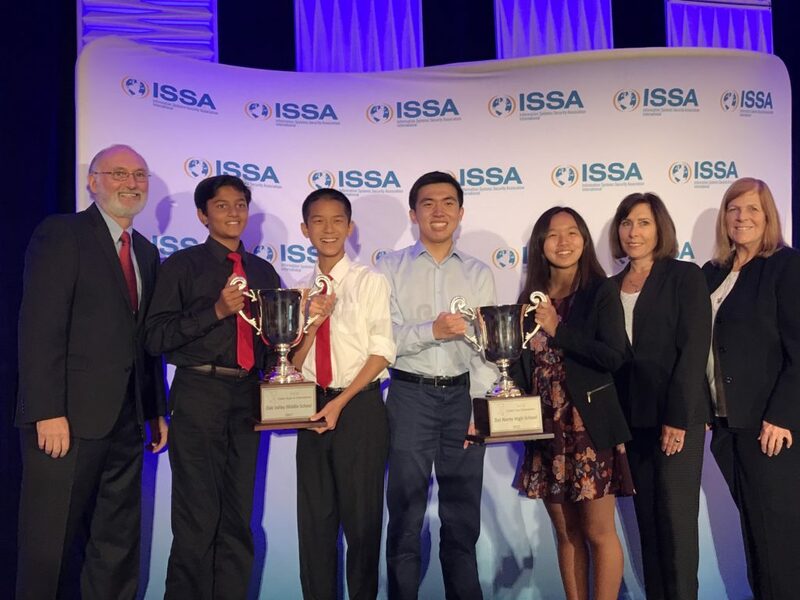 SoCal Champs from DelNorte High School and Old Valley Middle School have been invited to be recognized for their accomplishments at the ISSA Conference. 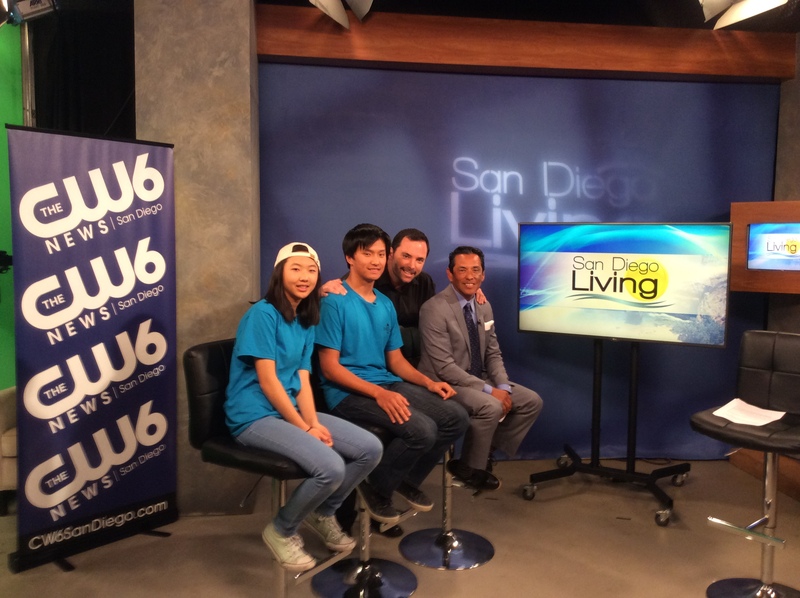 Students from our CyberAegis team were invited for an interview with The San Diego Union-Tribune to express their opinions on how smart phones and social media impact people’s lives. The article featuring Lucy Gao, 15; Emily Park, 17; Shruti Verma, 14; Akul Arora, 15; Pranav Patil, 14; Andrew Wang, 14; and Lily Hu, 16 as the representatives for the teenagers’ perspectives on the technological influence that dominates every aspect of our lives today. 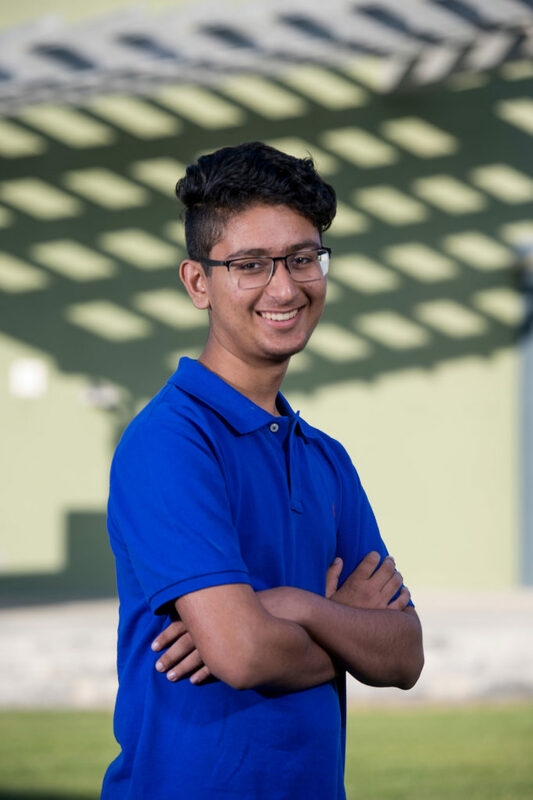 In a multimedia project, 15 under 15: Rising stars in cybersecurity, Andrew Wang and Akul Arora are elected for their dedication and expertise in CyberSecurity. The Christian Science Monitor’s Passcode traveled across the country to meet 15 kids under 15 years old who are fighting off the growing threat of cyberattacks. They are part of a new generation of tinkerers and boundary pushers – many still lugging school backpacks and wearing braces – who are mastering the numerical codes that underpin the digital world. But they aren’t trying to break the internet. They’re trying to put it together more securely. 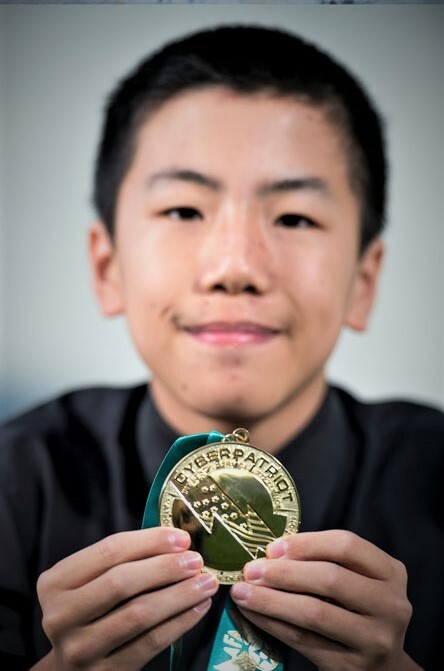 OVMS’s Team CyberFalcon Millennium 360 was crowned National Champion of the middle school division at the CyberPatriot VIII National Finals Competition in Baltimore, MD and was featured in the 92127 Magazine. 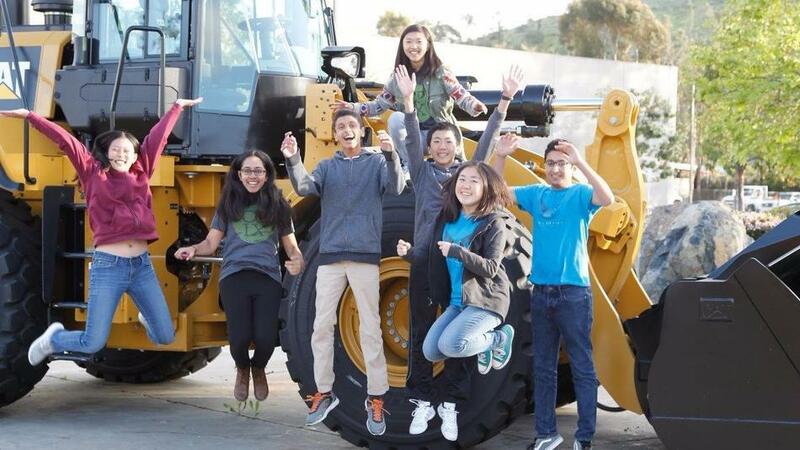 The winning OVMS students were Andrew Wang, Eric Chen, Lucy Gao, Pranav Patil, and Arushi Dogra.